​It wasn’t meant to be. Then, it was. Fourth-ranked Penn State defeated Iowa 21-19 when Nittany Lions QB Trace McSorley hit WR Juwan Johnson with a seven-yard TD pass as time expired on Saturday night. Head coach James Franklin’s squad dominated several facets of the game but could never take control in a game that seemed destined to fall to the Hawkeyes’ curse. It was just last season that a third-ranked Michigan traveled to Iowa City and lost 14-13. It appeared as if Penn State would crush the Hawkeyes as they outgained their opponent 219-54 in the first half, but the Nittany Lions trailed after two quarters, 7-5. For the game, Penn State totaled 579 yards to Iowa’s 273 and ran 99 offensive plays to the Hawkeyes’ 45. Still, Iowa RB Akrum Wadley’s two fourth-quarter touchdowns gave the Hawkeyes a 19-15 with just 1:42 to play. Wadley caught a 70-yard touchdown pass from QB Nate Stanley and then ran 35 yards for the go-ahead touchdown. The Iowa Hawkeyes win was not meant to be though as McSorley and the Penn State offense calmly marched 80 yards in 12 plays for the game-winner as the game clock expired. Penn State running back Saquon Barkley proved why he is worthy of Heisman Trophy hype. The 5-foot-11-inch, 230-pound junior rushed 28 times for 211 yards and was the team’s leading receiver with 12 catches for another 94. Barkley established a new Penn State school record for all-purpose yards with 358 against the Hawkeyes. Barkley’s brilliance was epitomized on a 3rd down-and-6 midway through the fourth quarter. With Penn State leading 15-13 at the time, McSorley threw a pass in the flats to Barkley who was pinned to the sideline by an Iowa defender. Barkley continued upfield anyway, hurdled the Hawkeye defender, and got the first down. McSorley finished the game completing 31-of-48 passes for 284 yards and the touchdown to Johnson. Johnson caught seven passed for 92 yards. Penn State faces Indiana at home this Saturday. Iowa, now 3-1, travels to Michigan State. In the season opener, the Spartans hosted Bowling Green and dominated the game. The Falcons got on the board first with a 36 yard field goal before the Spartans ran off 35 unanswered points. A fourth quarter touchdown by Bowling Green on a 46-yard fumble recovery ended the scoring, culminating in a 25-point win for Michigan State. Brian Lewerke lead the Michigan State attack with 250 yards passing and three touchdowns. He also lead the Spartans on the ground with 69 yards on eight attempts. Lewerke found Felton Davis III twice for touchdowns, one from 4 yards out and one from 8. Matt Sokol also found the endzone on a 13 yard strike from Lewerke. Darrell Stewart Jr lead the Spartans with 6 receptions for 85 yards. On the ground, Madre London gained 54 yards on 10 carries with a touchdown. On the downside, LJ Scott gained only 39 yards on 15 carries and lost two fumbles. On the defensive side of the ball, Tyson Smith got the only interception of the game, returning it 38 yards for a touchdown to end the scoring for the Spartans. Overall, the defense dominated, allowing only 2.8 yards per attempt and 212 total yards. The Spartans continued where they left off in week one against the Western Michigan Broncos, productive on offense and dominating on defense in a 28-14 win. Quarterback Brian Lewerke threw for a modest 161 yards and a touchdown, but lead the ground game again, rushing for 81 yards on nine attempts and two touchdowns. His favorite target was Felton Davis III, who hauled in four passes for 69 yards. Running back LJ Scott rebounded after a poor game against Western Michigan, rushing for 86 yards on 18 carries. He found the endzone twice, one on the ground and one in the passing game. Defensively, the Spartans were in shutdown mode for the second week, allowing only 2.9 yards to pass and 3.2 yards on the ground. All told, the Broncos managed just 195 total yards. The Broncos only scores were on a 100 yard kickoff return and a 67 yard fumble recovery. It's worth noting that this is the second straight game that the Spartans have had a fumble returned for a touchdown. Against better teams, this could pose a problem. All told, another solid win for the Spartans, who are now 2-0 heading into play versus Notre Dame on September 23. ​Sure, the college football season is still months away, but people who watch closely already have their eyes on the upcoming season and the fortune of their teams. With much player turnover each year due to graduations and early NFL departures, there are always new stars who arrive on the scene. Whether they are true freshman or players who’ve been waiting for their opportunity, it’s a virtual lock that you’ll hear about a new batch of players who will make their mark. As we head toward the 2017 college football season, it’s certainly not too soon to identify some of the players expected to have big seasons. 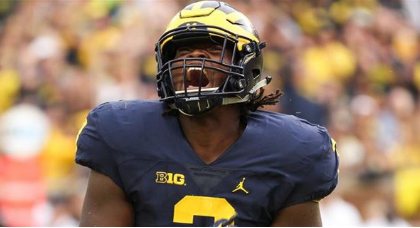 With spring practices now behind us, college football analysts have identified some of the players who turned heads in the spring and who are expected to make the most impact with their teams this year. Heisman Trophy winner Lamar Jackson returns for the Cardinals and is the team's biggest star. However, the team lost wide receivers James Quick and Jamari Staples and tight end Cole Hikutini. This is why Dez Fitzpatrick, who redshirted last season, will play a big role. Fitzpatrick didn’t disappoint in the spring game with 9 catches for 176 yards and two touchdowns. One score came on an 80-yard score in which he outran the secondary. As a true freshman and one of the most highly recruited freshman last season, Gary played behind a couple of NFL draft picks in Taco Charlton and Chris Wormley. Now is Gary’s time to shine and he is ready for the challenge. Gary has excelled in both spring practices and the spring game. With amazing speed for a player his size, you can bet quarterbacks will be running for their lives in the fall. Another highly coveted recruit, Jeudy brings a four-star rating to the Tide and already garnered the MVP award in Alabama’s A-Day game this spring. With 5 catches for 134 yards and two scores, Jeudy looks like another great weapon for Nick Saban’s team. Look for Jeudy to team up with returning star wideout Calvin Ridley to provide a great one-two punch. Irish Head Coach Brian Kelly could use a pure pass rusher after his team had just 14 sacks all of last season. Sophomore defensive end Daelin Hayes could fill the bill. Hayes had a strong performance in Notre Dame’s Blue-Gold spring game with 3 sacks to go along with 7 tackles. He may just be the edge rusher they desperately need. Notre Dame Irish fans will be looking forward to watching this player. It was hard to miss Johnson in spring practice and with his performance in their spring game. At 6’6”, the sophomore wide receiver should far exceed his numbers as a true freshman when he had just 315 yards in receptions. Johnson is expected to be the Longhorns go-to receiver this year and had 8 catches for 117 yards and two touchdowns in the team’s spring game. Other players of note from the spring were WR Juwan Johnson (Penn State), Quarterback Tanner Lee (Nebraska) and Cornerback Byron Murphy (Washington). It's not every day that high school kickers make the national news for signing a letter-of-intent to play collegiate football. But then again, it's not every day that a woman signs a letter of intent-to-play collegiate football on a scholarship. Becca Longo became the first woman to earn a college football scholarship to an NCAA school at the Division II level or higher and signed a letter of intent with Adams State University, an NCAA Division II school in Alamosa, Colorado. A senior at Basha High School in Chandler, Arizona, Longo converted 30 extra points on 33 attempts this season, and was successful on her lone field goal attempt of the season of 30 yards. That's despite the fact that she only started playing football just two years ago, during her sophomore year. She originally started as a junior varsity kicker at Queen Creek High in Arizona. But, after transferring to Basha High, she was forced to sit out her junior year. So, in essence, she really only has only two years of experience in this endeavor. But after Longo became convinced that this could be an avenue for which she could pursue her college education, she began to send video highlights to schools, and following collegiate coaches on social media. The latter method, specifically through Twitter, is how she got the attention of Adams State head football coach Tim Rosenbach. After watching her highlight video, Rosenbach and offensive coordinator Josh Blankenship actually visited her in person, and expressed their interest in potentially having her as part of their football team. They subsequently invited her to visit the campus of Adams State, which Longo professed to fall in love with. Shortly after her visit, she was offered a scholarship. Rosenbach has stated that the historical aspect of a woman being offered a college football scholarship hadn't crossed his mind. He stated that he simply views her as a football player, specifically one with "great mental toughness." Still, it's hard to believe that the uniqueness of this situation was lost on him. According to ESPN, approximately a dozen women are known to have ever played college football, and none of them did so under athletic scholarship. The last woman to play college football was April Goss, who became the second woman to score in a Division I Football Bowl Subdivision (FBS) game, after kicking an extra point for Kent State University in their game against Delaware State in 2015. Naturally, there have been some individuals who believe that Longo is being given preferential treatment through this scholarship, especially considering the fact that she only attempted one field goal in her final year. But, her 90%+ conversion rate on extra point attempts is definitely considered to be very good for a high school kicker, and many high school teams tend to be conservative when deciding when to attempt a field goal. Similarly, when Longo gets to Adams State, nothing will be handed to her. According to Rosenbach, the kicking job is up for grabs heading into the season, and has stated that she's ready to take on the challenge and compete for her spot on the team. 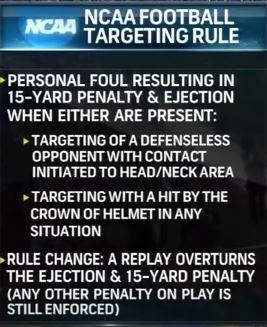 In 2013, the NCAA Football Rules Committee officially enacted the "targeting rule" in college football. The rule penalized any player making forcible contact to the head or neck area of a defenseless player. Those players guilty of this infraction would not only incur a 15-yard penalty, but they would also automatically be ejected from the game itself. Given the increased preponderance of concussions suffered by football players at all levels, and the rapidly-growing scrutiny around head-based injuries leading to the diagnosis of, and complications with Chronic traumatic encephalopathy (CTE) among former football players, the enactment of the targeting rule makes sense. If there's any way to legislate unnecessary contact to the head out of the game of football, thereby potentially helping with player safety, why not do so? And yet, NCAA Football Rules Committee secretary-rules editor, Rogers Redding, recently revealed that when the committee meets next month, it will consider an alteration to such a rule. Any such contact made by a player to another defenseless player's head will still incur the 15-yard penalty, but the committee is considering a "middle ground" solution to the ejection part of the penalty. 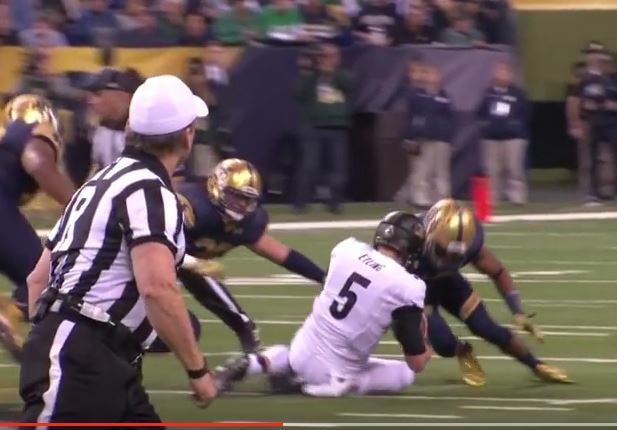 Currently, officials can either confirm their call of a targeting penalty, or overturn it after review. At present, if they deem the review as inconclusive, the player is still automatically ejected, per the terms of the rule. The new potential amendment to this rule will allow for players to stay in the game, and not automatically be ejected, if officials deem a replay as being inconclusive. The biggest source of controversy with this amendment stems from the subjective nature of "official reviews." No matter how highly trained referees may be, it is impossible to define a clear-cut set of circumstances or protocols to judge as to whether a player was truly guilty of maliciously targeting the vulnerable areas of a defenseless player. Further, there are no clear-cut rules, circumstances, or protocols which can definitively say whether a player was guilty of targeting. Further, because of the high-speed, high-impact nature of football, the judgment of whether a player intentionally followed-through with a blow that could be considered targeting, or whether that player was trying to avoid such a blow, is even more difficult to fully determine. There are some NCAA coaches who believe that the ejection component of the rule unfairly impacts a game. Players are taught to give it everything they have on every play, and asking them to exercise what could be seen as even more caution could take away from their overall play. So, why should a player, who's worked hard the whole week to participate in one 60-minute event at the end of the week, be penalized so severely for a momentary infraction? It's dangerous to put such a judgment-based decision, which could have dramatic impact on the outcome of the game, into the hands of referees. After all, shouldn't it be the player's job(s) to determine the outcome of the game? Those who are in favor of keeping the targeting rule intact, as written, point to two key factors. The obvious one is keeping player safety paramount. They believe that if the rule is harsh enough, it will have a lasting -- and positive -- impact on the way the game is played. At the end of the day, they believe that's the most important factor. Other proponents of keeping the targeting rule intact have a similar argument to those who want a middle ground, but in the opposite direction: they believe that such a "middle ground" exception could be giving officials a way to influence games, by allowing a player who potentially made such an infraction to still remain in the game. There is always the "gray area," when it comes to officials judging penalties that take place during the course of the game. It's simply the nature of sports: each set of officials in each game tend to call plays a certain way, which are not always 100% consistent or congruent with each other. The debate around this potential amendment really comes down to one key thing: how much weight should leadership give towards protecting the integrity of the games, versus the strict safety of the players? As the 2016-17 college football bowl season was winding down, only two teams still had perfect records. One of those teams was a highly unlikely one, the Western Michigan Broncos. Out of the Mid-American Conference, the Broncos finished the regular season with a record of 13-0. Led by their young and exuberant head coach P.J. Fleck, the Broncos rolled through their schedule which included road victories over two Big Ten teams, Northwestern and Illinois. The Broncos had never cracked the AP Top 25 rankings before this season but in week seven they did, coming in at No. 24. By the end of the season, Western was ranked No. 15 and was selected to play in The Goodyear Cotton Bowl Classic against another Big Ten team, the Wisconsin Badgers. The Badgers made it to the Big Ten championship game before losing to Penn State and finished the regular season with an 10-3 record. Hoping to complete their perfect season, Western would need to slow down the Wisconsin running game, always one of the Badgers strengths. The Broncos run defense was one of their strengths all season but in the first half they allowed 156 rush yards to Wisconsin and couldn’t seem to stop them from what they do best. The Broncos added a field goal in the third to cut the score to 17-10 but Wisconsin extended the lead to two touchdowns early in the fourth on a touchdown pass from Alex Hornibrook to Troy Fumagalli. A late touchdown from Western made the game close but it wasn’t enough as the Broncos took their only loss of the year. In Kalamazoo, Fleck is a bit of a rock star. The 36-year old coach brought the mantra “Row the Boat” to the Western program and has taken the team from 1-11 in his first season to 13-1 this year. His bubbly personality and his catch phrases like, “Have an Elite Day”, have energized the players and fans and the national media has caught on. The Broncos were featured on College Gameday prior to their game against Buffalo on November 19th and the broadcast featured a piece on Coach Fleck that highlighted his unique bond with his players and the community. Fleck is currently signed with Western through the 2020 season but the school has been discussing an extension. As of this article nothing has been completed. Speculation has had him taking a higher profile position but he has insisted he wants to return to Kalamazoo and continue to coach the Broncos. Given the success of the program it is most likely only a matter of time before Fleck is headed to a school that can offer him more money with greater opportunities. For Broncos fans, the hope is that he stays right where he is. Fingers crossed. Shop Western Michigan Cotton Bowl Gear! We have reached the end of week 9 of the college football season (wow does time fly) and there are several teams who are in position to secure a berth as one of the four programs to reach the College Football Playoffs. With four weeks to go in the regular season as well as conference championships to be played, there is nothing etched in stone for any of those teams. In this article we’ll look at 5 of those teams vying for a spot in the final four and assess their chances to get there. You have to marvel at a program that has the amount of talent going to the NFL each season and continuing their dominance. The Tide is starting a true freshman at quarterback in Jalen Hurts and how not missed a beat as Hurts has led the team to a perfect 8-0 record so far. Head Coach Nick Saban is a big reason for Alabama’s excellence not just for his coaching but also for his stellar recruiting. The Tide get to play three of their remaining four games at home with only next week's game at 19th ranked LSU being played on the road. Prediction: They are pretty much guaranteed to return to the playoffs. I guess coaching does make a big difference in the college game. Head Coach Jim Harbaugh took over a rather dormant program at his alma mater and in two years has them in a position to play for a national championship. Known as a quarterback guru of sorts, Harbaugh is grooming current starter Wilton Speight and the results have been good so far. The Wolverines are also one of the best defenses in the country led by Jabrill (I’ll play any position) Peppers. However, Michigan still has a daunting schedule with road games against Iowa and Ohio State ahead. This will keep Michigan Wolverine fans at the edge of their stadium seats. Do we see a theme here? Buckeyes Head Coach Urban Meyer also lost big to the NFL after last season; the Ohio State Buckeyes are in a position to reach the playoffs again this year after last season's disappointment. With an experienced quarterback under center in J.T. Barrett and defense that continues to perform at a high level, don’t count them out of contention. It will all come down to the regular season finale against Michigan to see who has the edge. 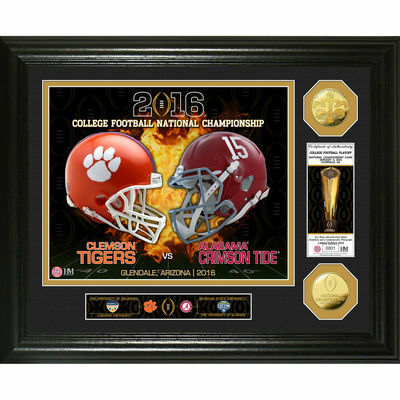 The Tigers passed their biggest test with their 37-34 victory at Florida State on Saturday. With remaining games against the likes of Syracuse, Pitt, Wake Forest and South Carolina to go, it looks like clear sailing for Clemson. Head Coach Chris Petersen has turned this program around and has them undefeated after 8 games. They can also thank Quarterback Jake Browning who is in the Heisman Trophy discussion. If they can only avoid a loss to rival Washington State on the road in their finale, we should the Huskies in the playoffs. It seems like the Ohio State Buckeyes have always been a great football program. You can go back to the days of the legendary Woody Hayes who coached the team from 1951 through 1978, a period in which Hayes led them to 5 of their 8 National Championships. Hayes was followed by Earle Bruce, John Cooper and Jim Tressel who all had varying degrees of success with the Buckeyes. But none of them were able to bring another National Championship home to Columbus except Tressel whose 2002 team did it. Fast forward to November 28th, 2011 when former Florida coach Urban Meyer accepted the position as the team’s new Head Coach. Meyer had won two National Championships as the Florida coach but ended up leaving the program for health reasons in 2010. When the opportunity arose for Meyer to return and coach his alma mater he jumped at the chance. Born in Toledo, Ohio and a graduate of Ohio State, Meyer's first full season as Buckeyes coach began in 2012. Since then, the team has an amazing 50-4 record and a 2014 National Championship to its credit. Last season, the team had an impressive 12-1 season with a 44-28 Fiesta Bowl win over Notre Dame. However, the team was hit hard by graduations and NFL departures as only six starters will return for the 2016 season, three on each side of the ball. One of them is Quarterback J.T. Barrett. Now a junior, Barrett is without question the number one returning starter and will again be one of the team's best players. The Buckeyes will also need to find a replacement for the program’s No. 2 all-time rusher in Ezekiel Elliott. Redshirt freshman Mike Weber should emerge at that position with H-back Curtis Samuel also available. The team also took some hits at wide receiver and along the line. There is no question that Meyer has the talent but most of the replacements are as yet unproven. 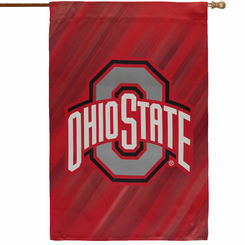 Defensively, Meyer brought in Greg Schiano as Defensive Coordinator and Associate Head Coach. With Schiano’s college and pro credentials, expect the defense to be strong once again. Middle Linebacker and All-Big Ten player Raekwon McMillan returns to anchor the defense. Other talented players to watch include ends Tyquan Lewis and Sam Hubbard as well as cornerback Gareon Conley. With the team breaking in a lot of new talent, Meyer may have to do one of his best coaching jobs yet. The experts think he can do it as the Buckeyes were ranked 6th in the initial Associated Press rankings. Remember it was actually Michigan State that took the Big Ten title last year and went to the College Football Playoff. In addition, Jim Harbaugh and the Michigan Wolverines are also expected to have a strong season so it won’t be easy for OSU. A quick look at the schedule shows an early test against the Oklahoma Sooners in Norman on September 17th. The Sooners played in the playoff last season and are currently ranked No. 3 heading into this year. They will need to travel to Michigan State on November 19th but they get Michigan at home to end the regular season a week later. It will be interesting to see how quickly some of the new talent rises to the top for the Buckeyes and how far it can take them. Stay tuned.